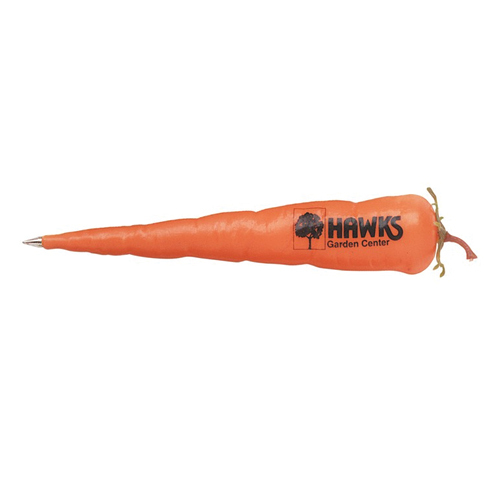 Your marketing strategy is going to grow with this ballpoint carrot shaped pen customized with your logo or slogan. Bulk / 8 lbs lbs / 250 pcs pcs. / 18 x 15 x 13box. 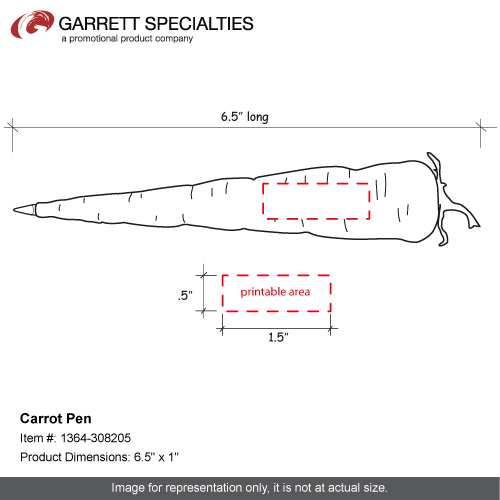 Imprint Area: .5" x 1.5"